This 24-hour event received nearly 1,000 photos from across the county last year. At work, at school, at home in Montgomery County. Getting in on the fun and excitement is EASY! First, snap your picture or capture your video. Then, just email it (one at a time) to: [email protected]. It’s that easy!! 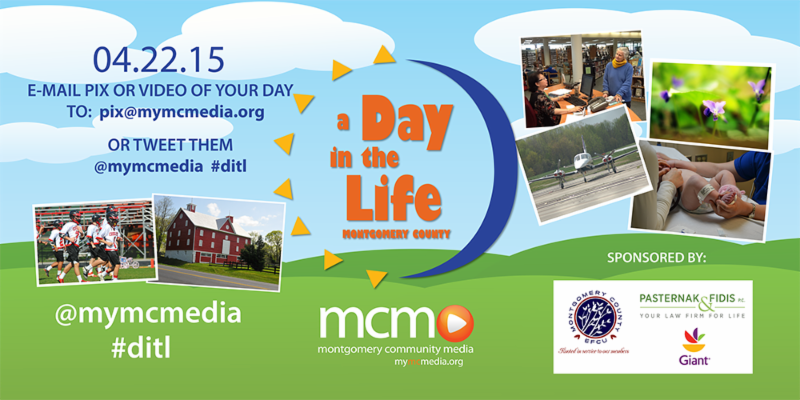 You can also Tweet your photos: @MyMCMedia with the #ditl. The Montgomery County Employees Federal Credit Union (MCEFCU) returns as the title sponsor of a “Day in the Life of Montgomery County.” We would like to introduce the Law Offices of Pasternak & Fidis as our newest sponsor. Giant Foods, LLC of Maryland continues as this year’s presenting sponsor. Adding to the excitement, Montgomery County’s Executive and County Council have issued renewed proclamations declaring April 22, 2015, an official day to capture and celebrate life in Montgomery County. This 24- hour event that highlights life in Montgomery County received nearly 1,000 photos last year and we want to top that this year. In order to do that, we need your help in spreading the word and getting more people involved. A complete set of guidelines are available at http://www.mymcmedia.org/day/. Join in the fun on April 22! “Education is the most powerful weapon that you can use to change the world,” said the late Nelson Mandela. What can we do to develop a new generation of empowered and entrepreneurial leaders through our schools? We often pay lip service to ideas such as “21st-century learning” and “entrepreneurial leadership development,” but the reality is that the vast majority of schools are not adequately preparing students to lead and collaborate with others to create positive change in the world. Fortunately, there are shining examples of schools from which we can learn—schools that take responsibility for preparing all of their students to become changemaking leaders. One example is in Ahmedabad, India. A group of fifth-grade students from the nearby Riverside Schoollabor in a factory, tediously rolling traditional incense sticks for eight hours. This is not a form of indentured servitude but an important curriculum lesson engineered by the school to teach empathy. The children leave the factory exhausted, but also awakened to the needs of the world and often charged with a commitment to do something about child labor. In Johannesburg, South Africa, emerging leaders from across the continent participate in lab sessions at the African Leadership Academy that introduce them to design-thinking principles; they learn to deeply understand the needs of their local communities, and develop and implement sustainable solutions through the school’s Student Enterprise Program. A continent away, at the Ravenscroft School in Raleigh, N.C., students between the ages of 5 and 18 are exposed to experiential lessons on self-agency, teamwork and collaboration, innovation and execution, resourcefulness, and adaptive persistence while they strive to put their change projects into action. And at the WeSchool and iFEEL, a business school in Mumbai, India, a seven-month Global Citizen Leader program tasks first-year students with understanding the lives of the poor and co-creating solutions for poverty alleviation. A formal evaluation at the end found that 92 percent of the students reported a rise in social awareness and empathy. Furthermore, 80 percent of the students subsequently indicated a readiness to take on social challenges and felt they had the capability to create change. The pioneering efforts at these schools are purposefully incorporating changemaking leadership into the educational journey of all students by implementing a systemic, deeply integrated strategy throughout enrollment. By engaging all of their students through a systemic design, these schools recognize that everyone can become a leader of consequence. Further, they recognize that preparing students to become effective and enlightened leaders is critical to their future job prospects, leading deeply fulfilled lives, and becoming positive contributors to society in increasingly difficult times. The need to think differently about preparing young people for the future is driven by a number of major forces. One is the Millennial generation itself. Half the people living in the world today are under the age of 30. The hundreds of millions of young people born in the digital age are more informed and connected than ever before. They’ve grown up in an era of widespread democracy, with expectations of freedom and equality. They are aware and distressed by the environmental, economic, and political state of the world. Change is very much on their minds: The world we have is not the one that they want. The interest of young people in changemaking is manifest in the surge in social entrepreneurship programs on college campuses and in young people taking to the street en masse for a slew of causes: against economic disparity in the Occupy Movement in the United States, for political representation in the Arab Spring, against corruption via the Lokpal Bill in India, and for affordable education in the Chilean Student Movement. These movements represent the readiness of young people to organize and vocalize their concerns. Yet, even as young people want and expect more, opportunities are elusive. Job growth is not keeping pace with the increase in schools and college graduates. The current state of youth unemployment is equally dramatic in the wake of economic downturn in parts of Europe; youth employment exceeds 50 percent in Greece and Spain. The lack of jobs is compounded by the lack of skills among those who have an education. Employers globally declare that educational institutions are not adequately preparing young people with appropriate skills for the jobs they have available. The deficit is greatest in the area of soft skills. In “Expanding the Leadership Equation,” a Center for Creative Leadership survey on workforce readiness, executives named self-motivation, communication, learning agility, self-awareness, and adaptability as the most essential skills required for success in today’s work environment. Furthermore, 90 percent indicated that this leadership development needed to begin before the age of 18. There is an urgent need for young people to develop the practical skills employers are demanding. At leading-edge educational institutions—such as Riverside School, African Leadership Academy, Ravenscoft, and WeSchool—the focus is on learning agility and the practical application of learning. What’s more, these schools leverage social engagement as a means to develop creativity, collaboration, communication, and resilience. For the students themselves, self-clarity, relationship skills, and the ability to put ideas into action for sustainable and positive change are skills they need to live a life that is self-directed and meaningful. We need more schools—indeed all schools—to shift away from top-down forms of knowledge delivery with few opportunities for experiential problem-solving, self-discovery, and collaborative co-creation. We need a new future where entrepreneurial leadership development is integrated into every facet of learning for all students. The demands of the world are too great to avoid making this shift. We have models that are working well. The time is now to connect this work and begin to scale it globally. How do we promote bottom-up entrepreneurship in emerging economies? This is the central question that we will be discussing this week at the Legatum Convergence—an annual event held at MIT’s Legatum Centre for Development and Entrepreneurship. Let us explore this question from a youth perspective: Young people represent the fastest growing demographic in Africa. Many are already economically active—some motivated by necessity to help their families. In Nairobi and Dakar, we are seeing young entrepreneurs demonstrate resourcefulness and inventiveness with a range of enterprises. With access to the right opportunities, skills, mentors, social networks, technology, and finance, they have enormous potential to be a driving force for economic growth and social progress. Young entrepreneurs in Africa need the same basic tools as their counterparts in North America. But, access to financial services and markets, business connections, education and training, mentorship and support systems are often lacking. For example, financial institutions are averse to providing loans to youth-led businesses because these are seen as “risky”. And while the Silicon Valley ethos of “fail often and fail fast” is associated with learning and backed up with public and private support, this is not the case in many African countries. As the discussion about entrepreneurship in Africa gains momentum, it is vital to ask how youth entrepreneurship can be developed as a potential pathway to spur job creation. For this to happen, we need to create a dynamic ecosystem of actors and resources that incubate businesses, facilitate access to capital and business development services, and provide assistance in the form of mentorship and peer-to-peer support. And we need to test models to understand what works and what doesn’t in various contexts. Youth entrepreneurship is a powerful mechanism that taps into the creativity and drive of young people to bring about change, not just in their lives, but in their communities as well. It is an exciting area to explore as we stretch the boundaries of how young people in Africa can engage with their economies, on their own terms. You’ve probably heard the story of legendary criminal Willie Sutton, who, when asked why he robbed banks, responded, “I rob banks because that’s where the money is.” Now whether Sutton actually said that is debatable, but many fundraisers have picked up on the lesson — and Sutton’s grasp of the obvious. You want money? Figure out who has it and who’s “giving” it away. One answer to the “who has the money” question is corporations. 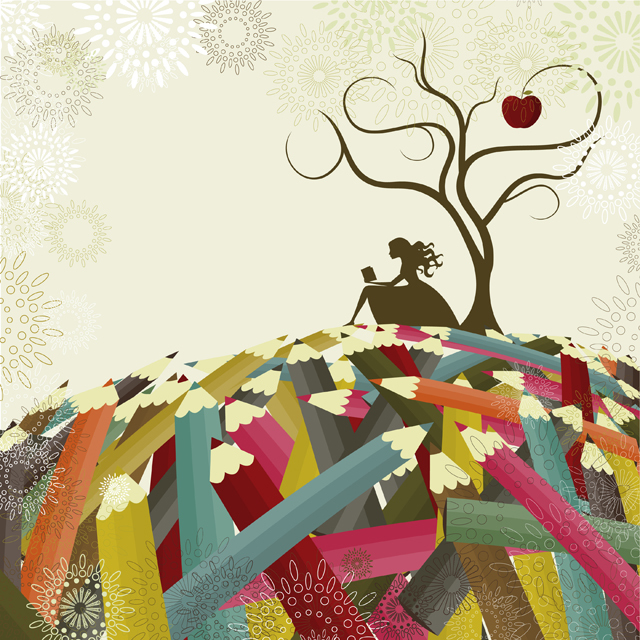 Often a nonprofit’s first way “in” to a corporation is through its foundation or corporate giving program — philanthropic vehicles with which fundraisers are very familiar. But what about nonprofit sponsorship? About thirty years ago, “cause marketing” became a real avenue for major corporate brands to position themselves in a favorable way with their customers. Suddenly, companies were investing in nonprofits and nonprofit causes — not only to support those organizations, but to help build their own brand loyalty. It was a new way of thinking, a new approach. Fast-forward to today. In 2014, corporate sponsors were projected to spend over $925 million on the arts alone (IEG Property Sector Spending Report, 2014). And the top three companies sponsoring the arts? As a result of the astronomical growth in sponsorship and cause marketing, many nonprofits have followed the “money trail” and ramped up their sponsorship efforts. This makes a lot of sense as organizations, no longer able to rely solely on funding from foundations, individual donors, and corporate giving programs, scramble for new sources of revenue. Can my organization deliver customers the sponsor wants to reach? Do I offer tangible benefits that enable the sponsor to engage my audience? Can I package those assets into a proposal that is priced attractively for the sponsor? Customer reach? Tangible benefits? Package my assets? Where’s the discussion about my organization’s mission or the fact we list our funders in our annual report? That’s a discussion you’d have with a corporation’s foundation. If you want sponsorship dollars, it’s time to make a deal! I’ll be expanding on these points and the “corporate marketer mindset” in a Foundation Center webinar, Sponsorship for Nonprofits: Putting a Price Tag on What You Do, on Wednesday, February 25, from 2:00–3:00 p.m. ET. I invite you to join us for this sixty-minute session, in which I’ll walk you through various methods to identify and price your assets and build a sponsorship proposal.